The Greater Cleveland Film Commission (GCFC) is excited to announce that its next exclusive fundraiser event will be a 25th Anniversary screening of Steven Spielberg's "Hook" on Thursday, September 1, at 7:30pm at Capitol Theatre, 1390 W. 65th St., Cleveland, OH. Join the Greater Cleveland Film Commission as they revisit this modern classic with the help of special guests Dante Basco ("Rufio"), Charles Korsmo ("Jack"), and James Madio ("Don't Ask"). After the screening, stay for an exclusive Q&A where the actors will discuss their experiences on set as young actors among giants of the industry, the journeys they have taken since then and even take questions from the audience. GCFC welcomes screening attendees to dress up as lost boys/girls, pirates or whatever Neverland resident they so choose. All guests will receive a special T-shirt designed for the event. General admission tickets are available for a $40 donation. A limited number of reserved seating VIP tickets are available for donations of $100. VIP guests are also invited to an intimate reception with GCFC and its special guests before the screening at Toast Cleveland Wine Bar, 1365 W. 65th St., Cleveland, OH. Complimentary food and drinks will be provided at the reception. 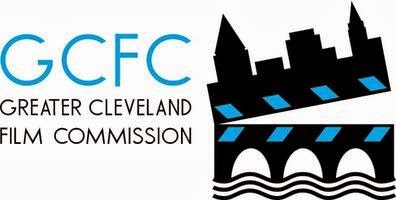 The Greater Cleveland Film Commission is a 501(c)(3) non-profit organization based in Cleveland, Ohio committed to fostering economic development in Northeast Ohio by attracting media production and businesses that can make a significant economic impact on the local economy, advocating for continued support of the Ohio Motion Picture Tax Credit and other public policies that promote and support media production and developing our local workforce by providing programs designed to provide local talent with the training, experience and professional connections to enable them to succeed in the film industry.